On July 16th, Christina will be making my Long Island debut with the philharmonic-under the direction of maestro david s wiley! The program is in partnership with united way and Be the Spark charity will be sponsoring a synchronized firework spectacular by way of fireworks by grucci! 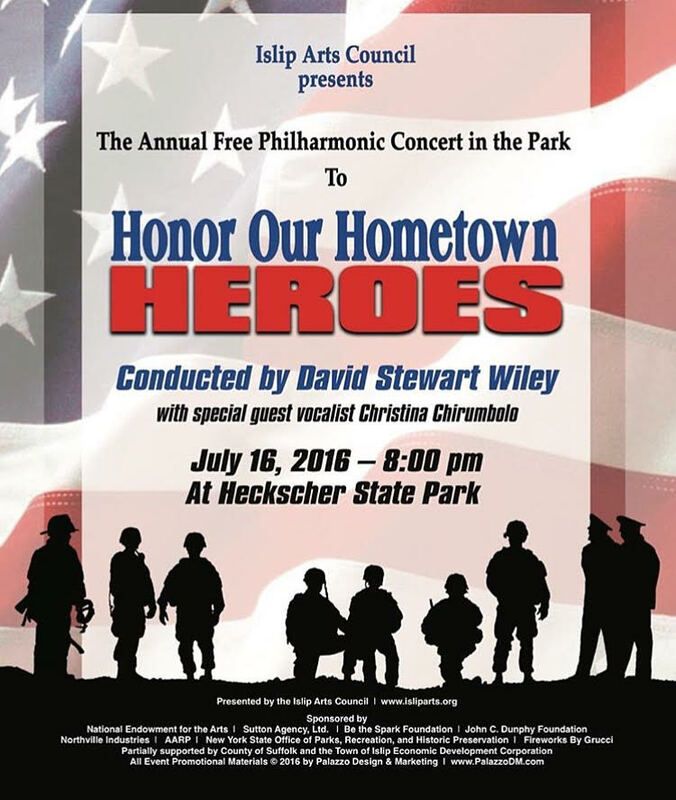 Join me and our expected 15,000 guests for a free concert at Heckscher Park in East Islip as we honor our veterans with beautiful music and magical collaboration!